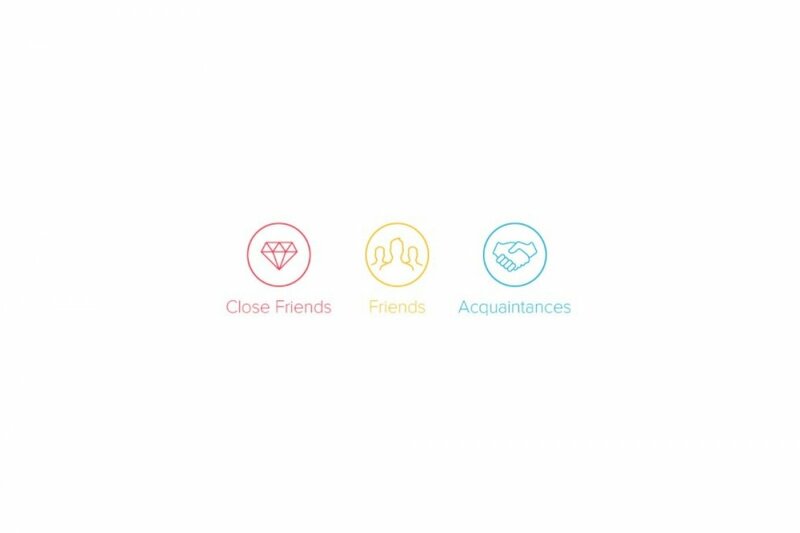 Close friends: which we can use to share very personal moments. Friends: we can use this Loop to share lighter publications of more social nature. Acquaintances and followers: which we can use to share posts of public domain. Perfect for professional profiles or for those people that are a public figure or celebrity. Step 1: go to the main Settings panel and tap on My Contacts. Step 2: then search for your friend on the list and tap his or her avatar. Step 3: you’ll be shown the current Loop for your mutual relationship. Tap on it to view the different options and simply choose a new Loop. Step 4: just close the menu to return to your contact list. Step 1: tap on your friend’s avatar to visit his profile. Step 2: the current Loop will appear under the user’s name and you only have to click on it to be shown the rest of options. Step 3: choose which one interests you the most and then close the menu to return to your timeline. This is one of the most noteworthy functions of Vero - True Social, allowing us to divide our contents depending on our relationship with our contacts.